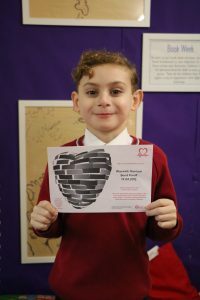 Preparatory School pupil Warwick Foxall has recently received fantastic news that he has been nominated to have his name engraved on a monumental steel heart statue in Sheffield. The statue has been created in honour of both those who have heart conditions and the British Heart Foundation, to help fund fund life-saving research into heart and circulatory diseases. 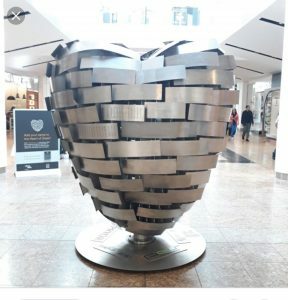 Created by artist Steve Mehdi, the Heart of Steel is part of the wider Steel Man project – a much-anticipated future landmark which will overlook Sheffield and act as a gateway to the region. The heart will eventually sit inside the gigantic Man of Steel! Warwick received a certificate to show that his name will become part of this historic statue. 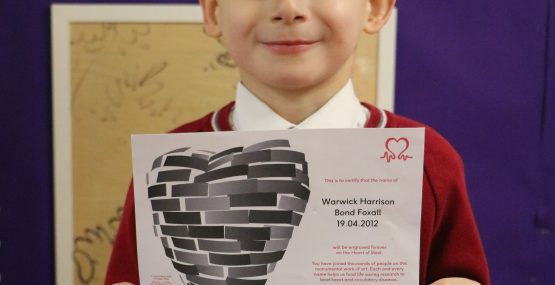 The date on his certificate is the date he had his major operation which brought him back to his parents thanks to the Birmingham Children’s Hospital.